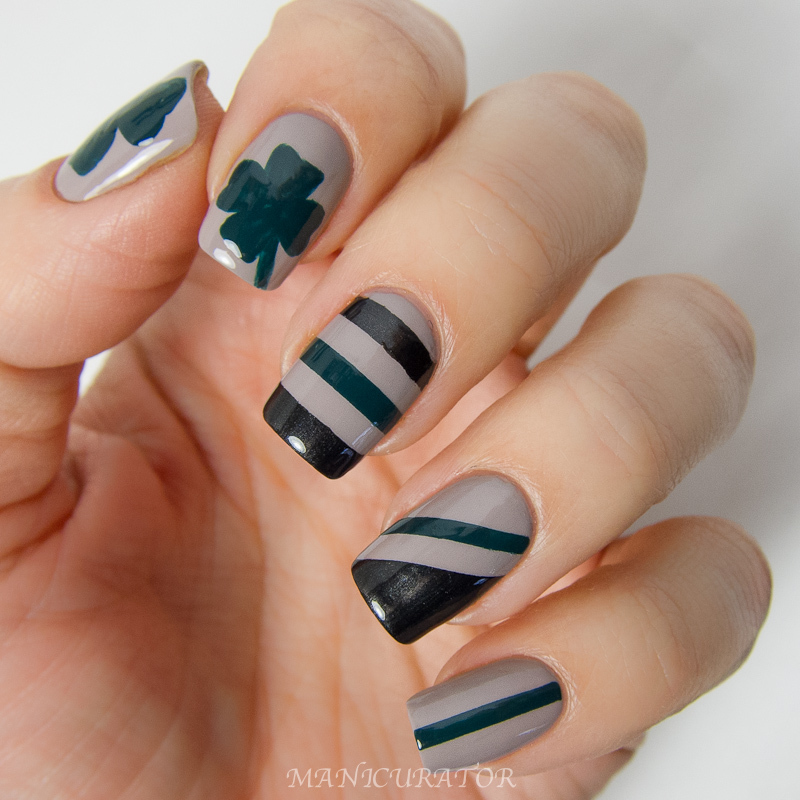 Did you wonder what I had on my nails for St. Patrick's Day yesterday? :P Well, I knew I needed to show off Nailtini's monthly limited-edition lacquer collection for March, curated by Sarah Coy of coymakeup.com so I decided to do an untraditional St Patrick's mani. Read more about The Lacquer Cabinet and see last months shades/nail art here. I can't wait to show you what I've mixed up for my month! First I applied two coats of Cement Mixer, which went on easily and has a great formula. Then I painted on my four leaf clovers with a small nail art brush from Winstonia store. And lastly used striping tape for stripes and blocking with Bottle Green and Venom. All the shades are richly pigmented and go on with ease. No issues with formula at all. I wanted to do something artsy, but that also showed off each shade nicely. Love the colors! Your four leaf clover looks great too. great idea! love the color combination. 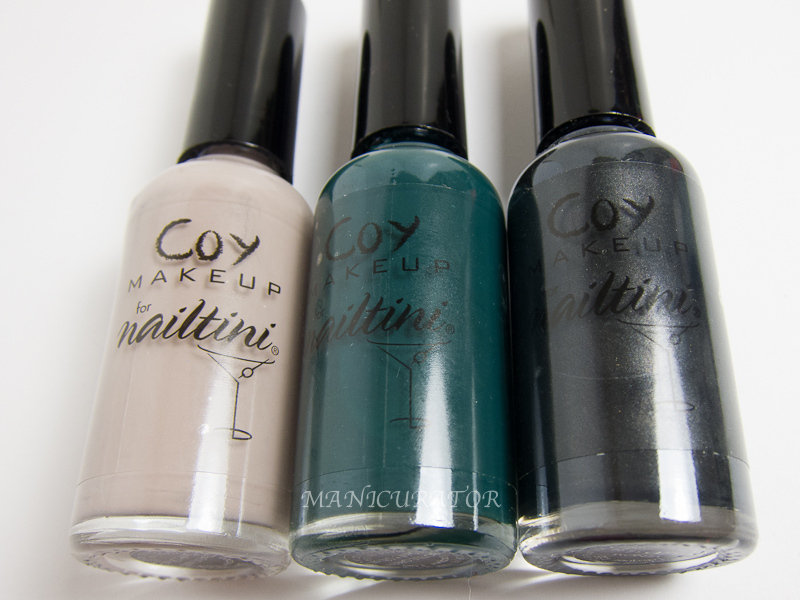 Cement Mixer and Bottle Green are gorgeous! Love the stripes. So jealous of your shamrocks, they look PERFECT! Can we please have a tutorial? These are just so gorgeous! Love the colors together!